Manage and save your emails to conform to LREC guidelines. This CE course is the 2019 LREC- approved mandatory topic course. All broker and salesperson licensees are required to complete this course as part of their required CE hours. Join us for a NOMAR Brokers & Managers Meeting on Tuesday, April 9! 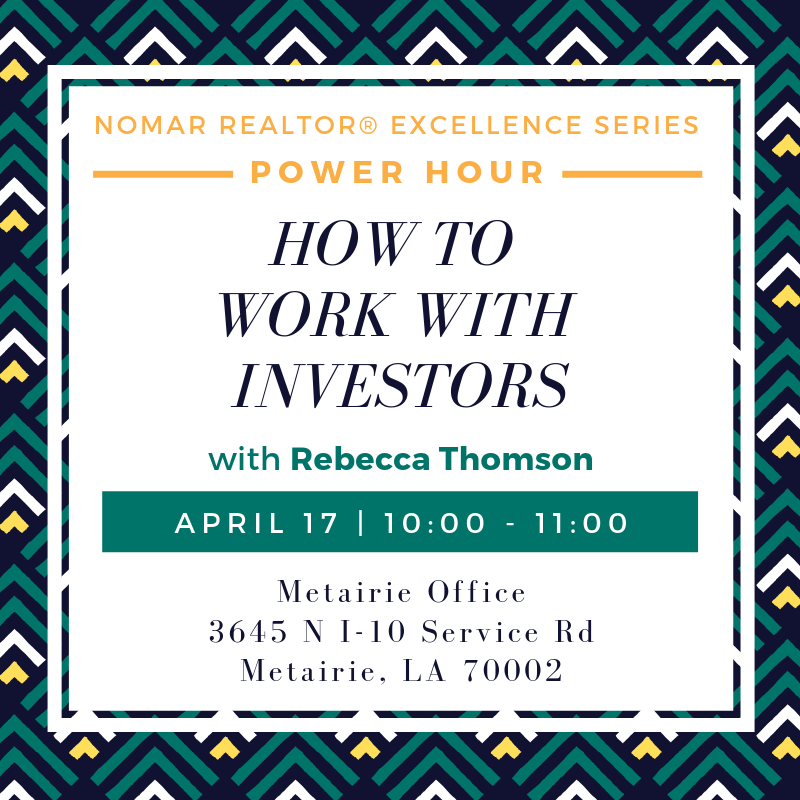 Join us for a NOMAR Brokers & Managers Meeting on Wednesday, April 10! Want to know more about the USDA Rural Development Loan Program? 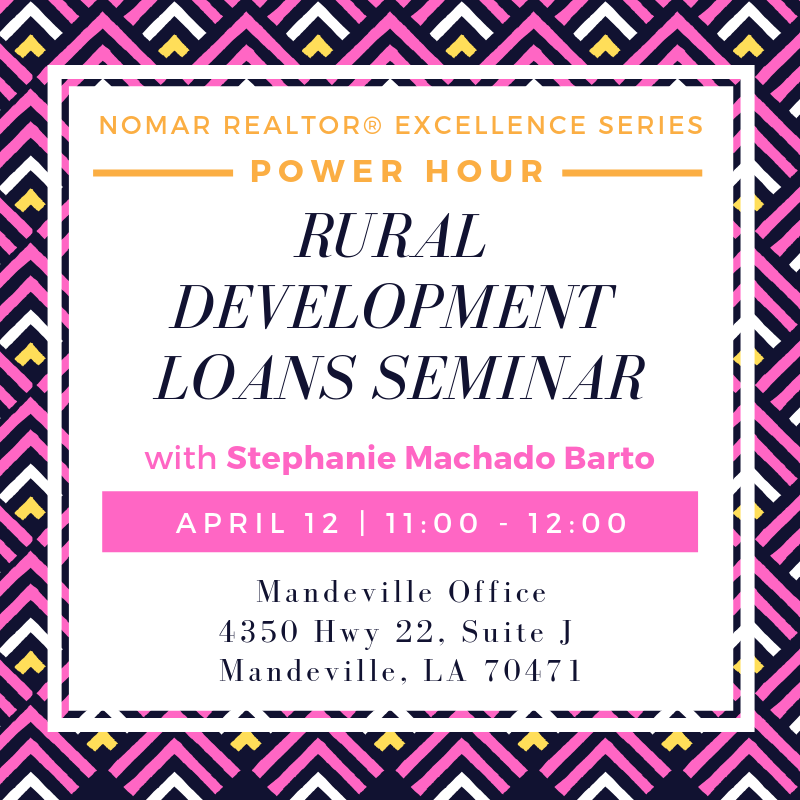 Come hear one of the top Rural Development Loan Program lenders in the country give you the ins and outs of the program! Lunch will be served! Come join us for a class on Matrix Tips and Tricks. We will also cover Matrix 360. It is Recommended that you have taken Matrix I and Matrix II. Come learn how to search for listings using the map without having to remember Areas. Zoom in and out to set your default search area. Learn how to use the three drawing tools (Radius, Rectangle and Polygon). Use the Jump to feature to go to Metairie, Mandeville, French Quarter, etc. And much more. This class is 30-60minutes. Every piece of property information from on and off the market, all in one place.